Soccer is not a dangerous sport but of course, sometimes injuries happen. It is no surprise that legs and especially shinbones are prone to injury. Therefore it is very important to protect them as much as possible. Shin guards are a must in professional soccer, but they are used also in recreational play and training. Here is our guide how to choose the best soccer shin guards for kids and adults. 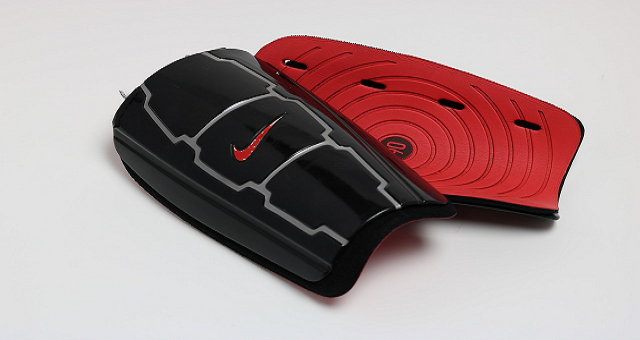 Front part or Shield is the main part which provides the shin protection. It can be made from Foam Rubber, Hard Plastic, Polyurethane or Carbon Fiber. The best soccer shin guards are made with Carbon Fiber shield. On other hand, shin guards with Polyurethane shield have good quality to price ratio. Players like when their shin guards stay at the right place during the match. Shin guards should not move during running and should be like glued to the shinbones. There are two different closures used in shin guards. One is sock-like (or sleeve), where the shin guard is embedded in the sock(sleeve). The second way of closure is the strap. There are usually two adjustable straps on the shin guard. One is at the top, the second one on the ankle. Moreover, the stirrup can be used to keep the shin guard attached to your leg. Some branded shin guards use also hook-and-loop top straps. Cushioning EVA foam is used as lining of a shield to absorb the impact of any kick. Cushioning should be also soft and pleasant to touch as it rests on your skin during the game. Choosing the right size of shin guards is the most important for comfort and protection of soccer player. You have to be aware that sizing can be different for each brand and that is different from jersey sizing. The larger sizes of shin guards are longer and wider to accommodate larger leg diameters. If you do not know the shin length than the height of the player is the most important parameter. If you are not sure about the height than you can use age as a rough guideline for your decision. How to choose best soccer cleats for you or your kid? Check our guide to sizes and all you need to know about soccer cleats. Keep goalkeepers hands save and choose the right goalkeeper gloves.